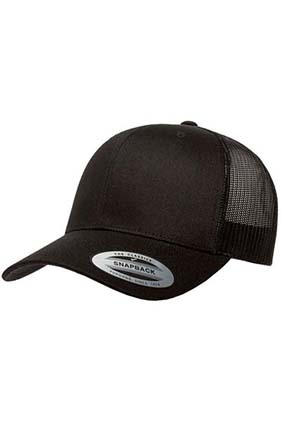 Make a statement with this retro trucker hat. 47% cotton / 25% polyester / 28% nylon. Structured, mid-profile, 3½" crown, six-panel. Permacurv® visor. Plastic tab closure.